Every morning, the fine folks at Sports Radio Interviews sift through the a.m. drive-time chatter to bring you the best interviews with coaches, players, and personalities across the sports landscape. 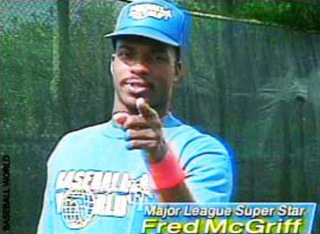 Today: Fred McGriff has no sympathy for Melky. Fred McGriff joined 98.7 The Fan in Tampa with Todd Wright and Booger McFarland to discuss Cabrera's admission, his apology, the All-Star Game ramifications, if the Giants should put him on a postseason series roster if they get the chance and the argument that one positive test should get a player banned for good. "Number one, we can't call Melky Cabrera a stand-up guy in the sense where, back in July, they asked him, ‘Hey Melky, there's rumors that you failed a drug test,' and he denied it. Now he's coming out saying, ‘Yes, OK, it was this drug, I apologize.' He's not a stand-up guy." Isn't he just a guy that got caught and wants some sympathy? "Correct. It's like, I'm sorry, but he's killed a team. He's going to miss the rest of the season. The National League has home-field advantage and he was the MVP of the All-Star Game. He might have cost somebody else a chance at the All-Star Game and now the National League gets the home-field advantage because of it. So its not like, ‘Oh, Melky, what a stand-up guy. Way to go dude!'" What do you think about that All-Star Game home-field advantage rule? "It's garbage. I would love to see whoever has the best record or whatever, because now it's out of your control if you're going to have home-field advantage. You look at last year, home-field advantage helped the St. Louis Cardinals win the World Series. So home-field advantage is huge. And you wish they would do something else. But they're going to have to come up with a little stiffer penalty for somebody getting caught for steroids, because 50 games just ain't doing it. It's going to have to be, if you get caught, 100 games or the next time you're out of the league. They've got to do something." There's a chance Cabrera could become eligible if they make a bit of a playoff run. Do you think they should welcome him back and put him on the roster if it's an option? "You're still trying to win ballgames … and at the end of the day, you're still trying to get to the World Series, so if they feel he can help them, I'm pretty sure they will allow him back. But he probably cost himself a big contract. I'm sure that's what it all ties into. He probably weighed the options: If I get caught, OK, I get 50 games, and if I pull it off and don't get caught, I'm going to sign a contract for $50 million at the end of the season. … He took a shot and I guess he just wasn't very smart." Are you put off by anyone in your game that cheats? "Yes, you've got to get back to working hard, go out, hit the weights and do everything else and run and train harder and learn how to hit. And that was the impression I was under with Melky because they were like … ‘He got released from the Atlanta Braves and now he's been training with Alex Rodriguez and Robinson Cano and he's a totally different guy now. Those guys got a hold of him and look at him now!'" "No question, because it's going to continue to keep going on. You've got these chemists and scientists, they're at home coming up with ways to beat the system. … Now they've got the synthetic steroids, or whatever, that they can't detect, so it's always going to be an issue. But I agree with you totally. It's just got to get a little bit stiffer because they don't care." • Mark Teixeira doesn't think steroids are all over baseball. • Peyton Manning isn't back yet, but he's getting there. • Steph Curry isn't trying to rush back too fast.